These Perforated Steel Stacking Chairs are durable and comfortable outdoor chairs designed with the ability to neatly stack on top of each other in order to save space. 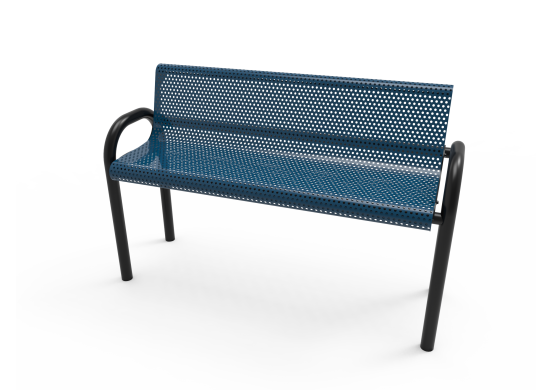 This makes them great temporary seats for large events, or simply makes them easier to store away during the winter.They are made from sturdy sheets of steel with a pattern of circular holes that keeps them sturdy and dry, and they are coated with a protective layer that keeps them dry and free from corrosion. 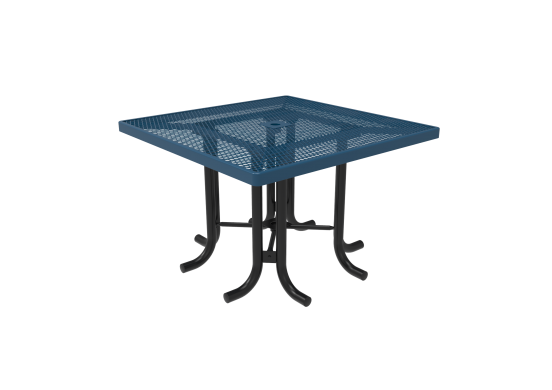 This layer can be colored with a large selection of different colors, making it easy to match them with any of the patio tables that PlaygroundEquipment.com offers. The Extreme Coating option even offers additional protection with the help of a seven year warranty. 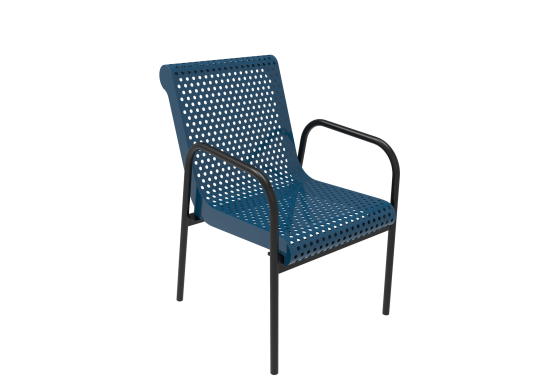 The chair’s frame is made from galvanized steel tubing with a one-inch outer diameter and a powder coat finish to keep it looking great.